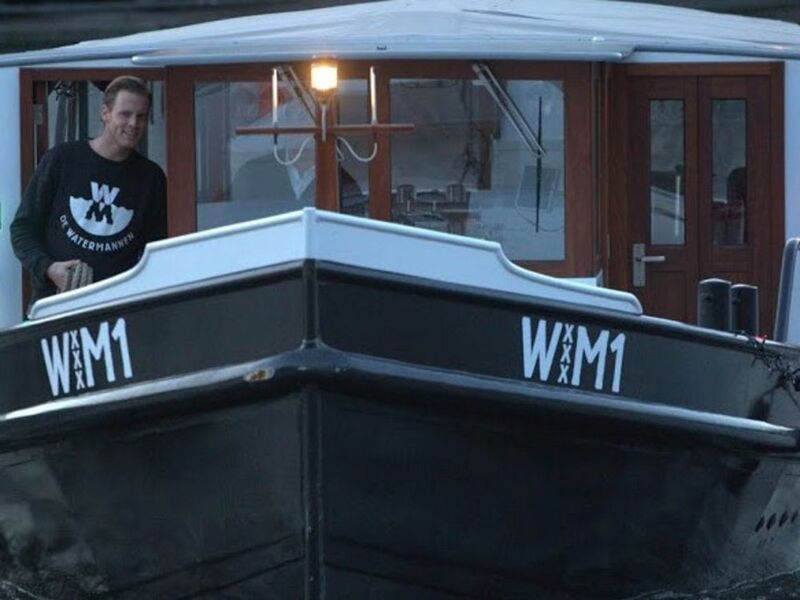 The WM1 is an authentic Amsterdam tug. 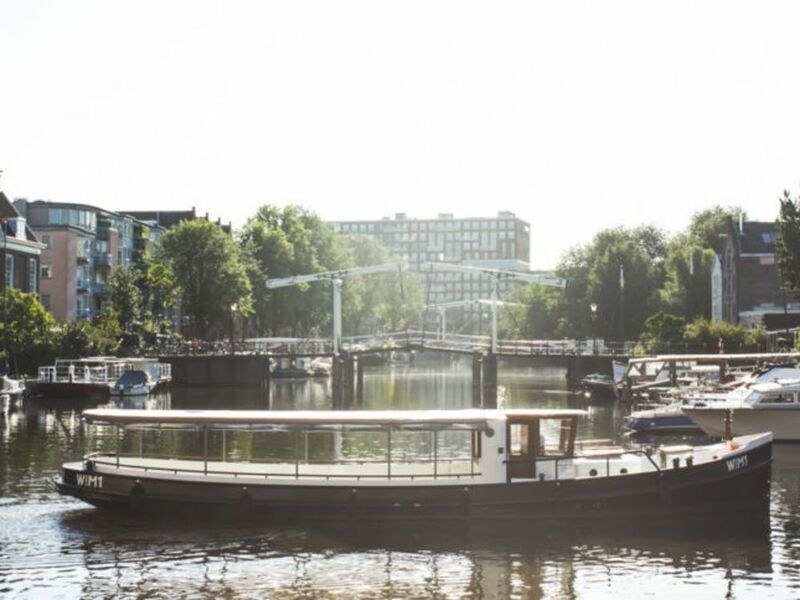 The barge has earned its spurs in service of the city cleaning department of Amsterdam. 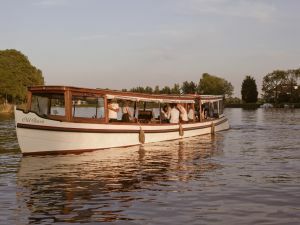 The boat was built in 1932 and was then dubbed the SR3. 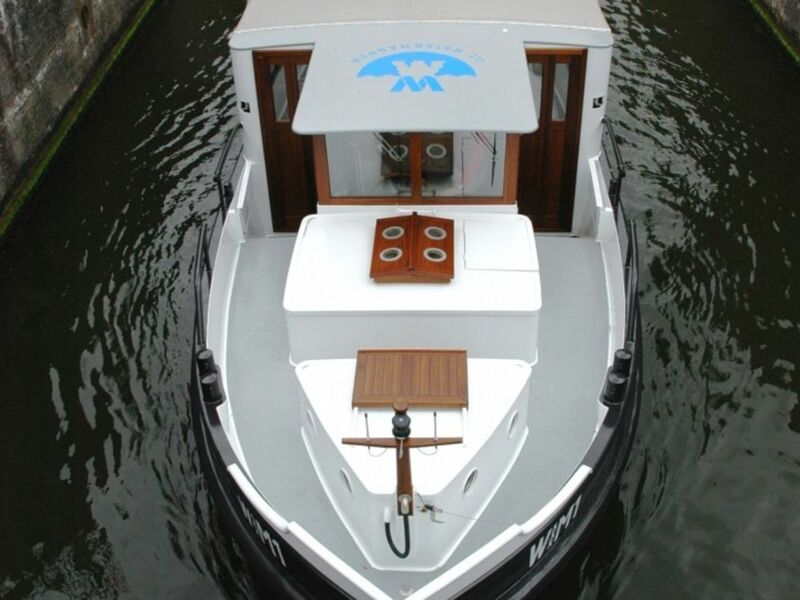 After 44 years of loyal service, the boat was refitted as a luxurious riverboat. 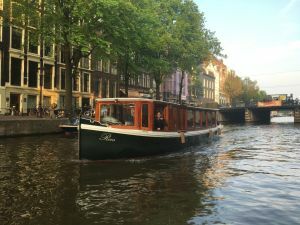 So, the WM1 offers a bit of true Amsterdam history herself. 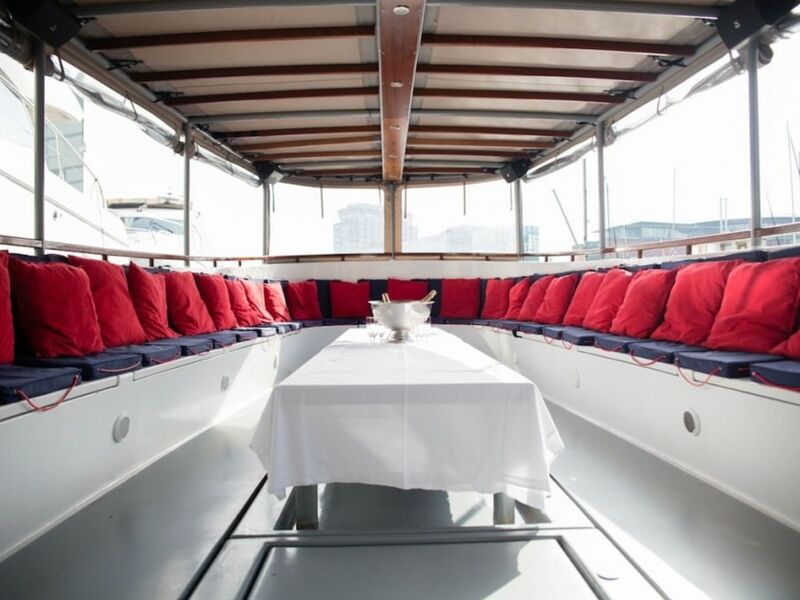 Being equipped with all the luxury necessities for either a romantic dining experience or a big party, the WM1 is a perfect location for all sorts of events. 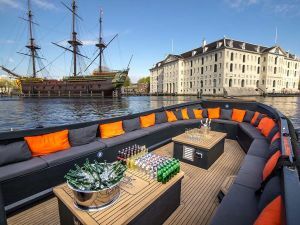 The boat has a totally detachable roof, which allows you to enjoy the open air in good weather. 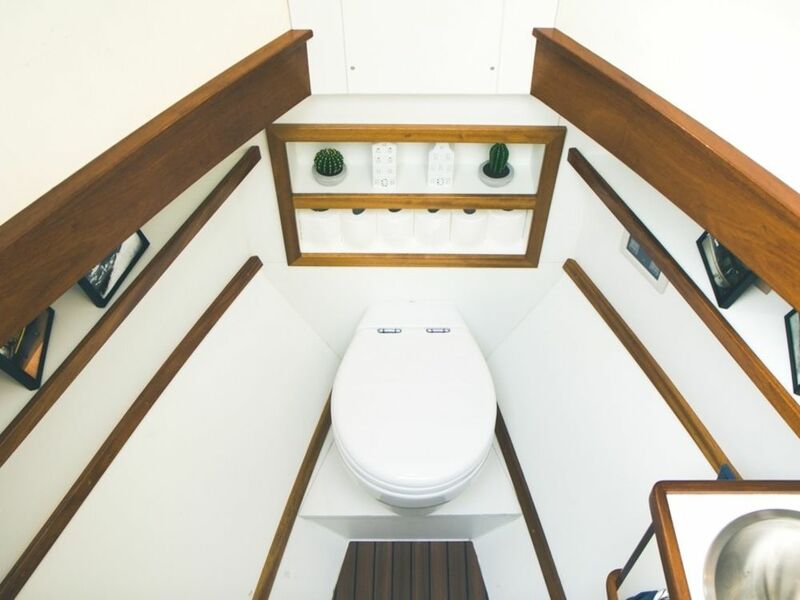 It is equipped with a small bar with 2 beers on tap, a coffee machine with fresh beans, heating, toilet, wifi, and a microphone and music connections for various media. 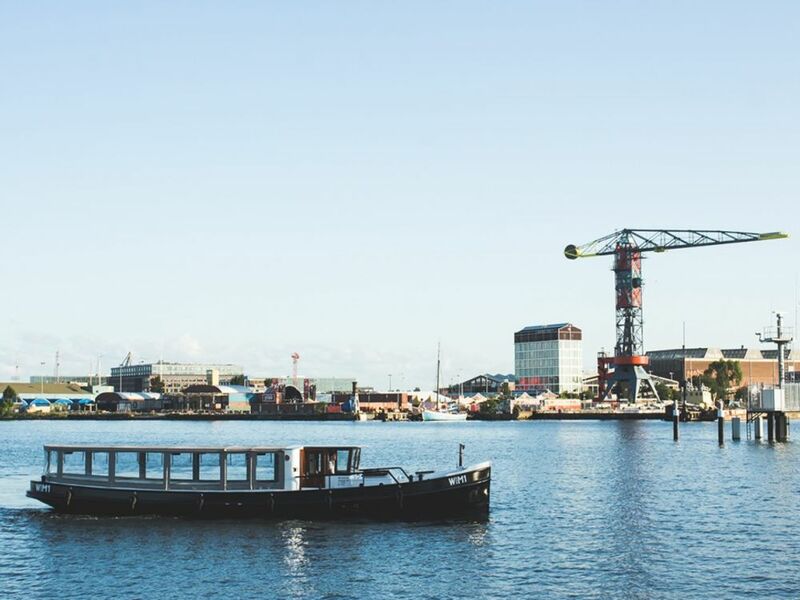 We can tailor our service to meet your particular culinary need. 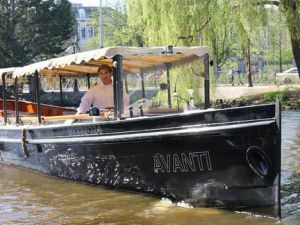 Either way, a cruise with The Watermannen always is an unforgettable adventure.